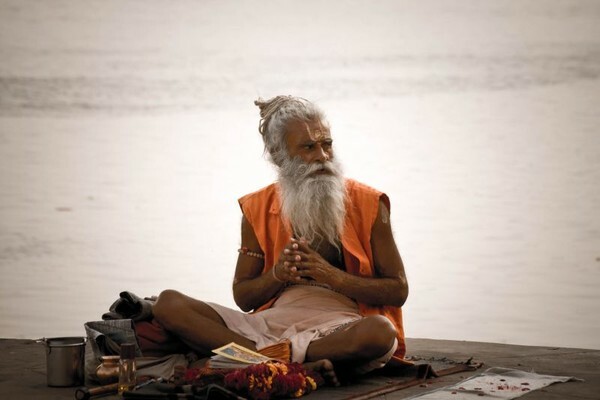 Whether you take a walk along the banks of the river or a boat ride, the ghats thrive with life, there are barbers waiting to shave the recently deceased, sadhu's or holy men practising meditation or yoga, children playing cricket and bodies being reduced to ashes. 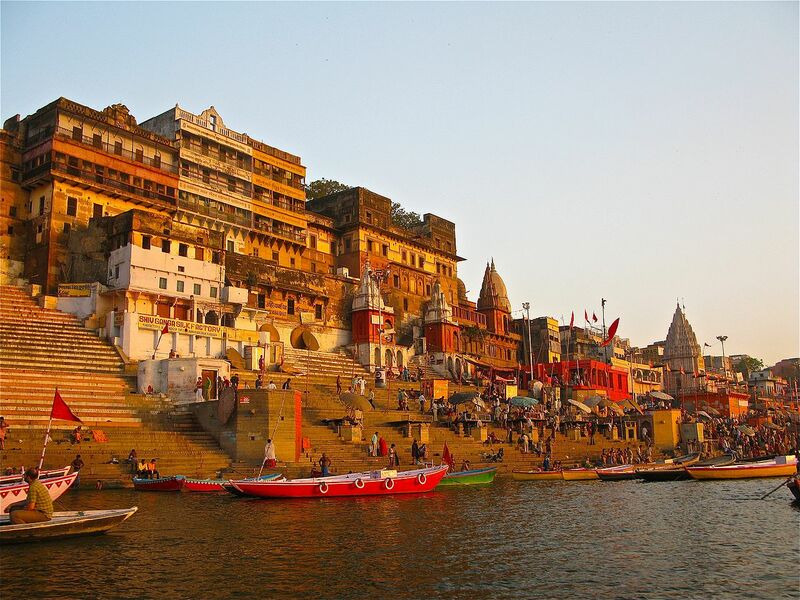 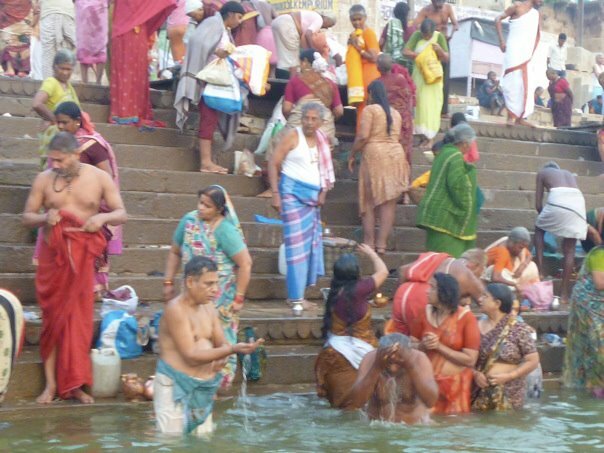 The holy river Ganges is regarded as amrtia, the elixir of life which brings purity to the living and salvation to the dead, her riverbanks are marked by pavilions, palaces, temples and terraces and her shores are marked by a chain of stone steps . The ghats are washed by the seasonal and monsoonal flush of Ganga Ma with dramatic seasonal fluctuations of the river level. 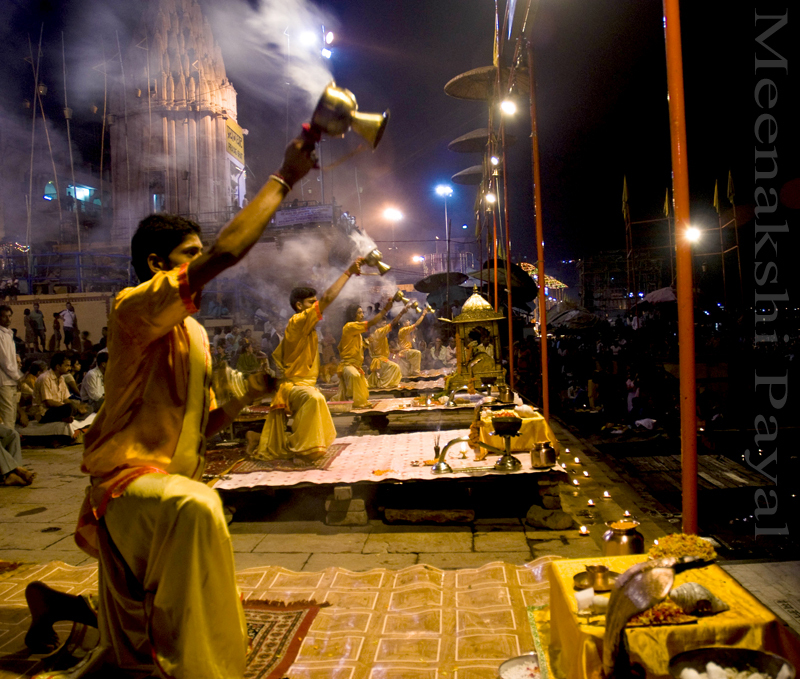 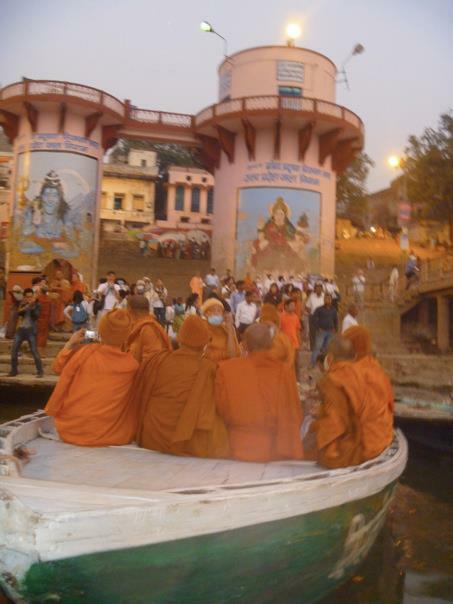 Varanasi is also known as the City of Learning and Burning. 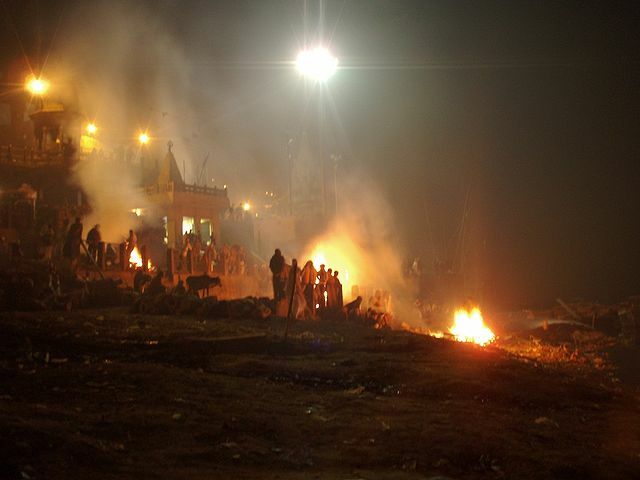 To die or to be cremated here on these holy shores is said to bring the soul to liberation or moksha. The pre-eminent cremation ground of Varanasi never sleeps. 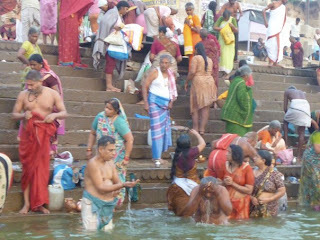 The ghat is perpetually crowded with funeral parties and Doms (the untouchables whose job it is to attend to the cremation fires).the busiest ghat in the city, Dashaswamedh Ghat is the site of a ten horse sacrifice performed by Lord Brahma, and has become Varanasi's most popular bathing ghat as it is believed that bathers can reap the benefits of this ancient sacrifice even today.